Azerbaijan submitted data on the daily oil production in the country for December 2018 to the joint technical committee of the OPEC monitoring committee as part of the fulfillment of the Vienna agreement on reduction of oil production, Trend reports with reference to the Azerbaijani Ministry of Energy. Oil production in Azerbaijan amounted to 790,000 barrels per day in December 2018, of which 721,000 barrels accounted for oil and 69,000 barrels for condensate. Thus, 617,000 barrels of oil, 69,000 barrels of condensate and 13,400 barrels of oil products were exported daily. In 2018, Azerbaijan produced 814,600 barrels per day in January, 806,000 bpd in February, 794,000 bpd in March, 785,700 bpd in April, 801,000 bpd in May, 792,000 bpd in June, 773,000 bpd in July, 774,000 bpd in August, 796,000 bpd in September, 783,000 bpd in October and 801,000 bpd in November, the ministry said. During a meeting of oil producers in Vienna in December 2016, 11 non-OPEC countries (including Azerbaijan) agreed to reduce oil production by 558,000 barrels per day. The agreement was concluded for the first half of 2017 and was extended at a meeting on May 25, 2017 until the end of the first quarter of 2018. The agreement was renewed again until the end of 2018 at the recent OPEC meeting in Vienna. Azerbaijan joined the decision. 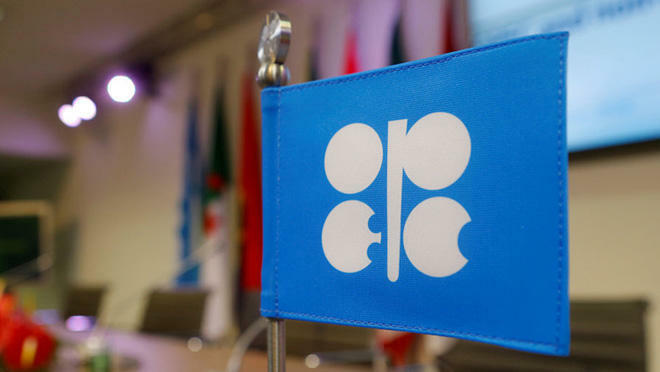 During the 4th OPEC and non-OPEC Ministerial Meeting, an agreement was reached to increase oil production by one million barrels per day. Azerbaijan supported the new agreement.